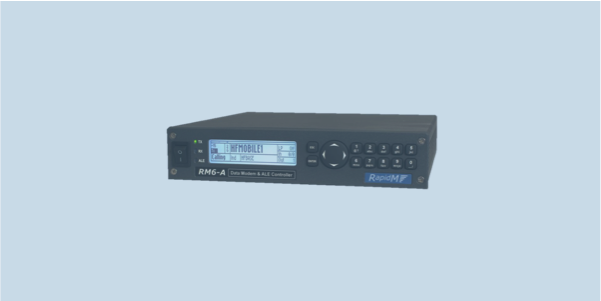 The RM6-A ALE Controller performs all the basic protocol functions for individual calling, one-to-many calling, sounding and scanning up to 5 channels per second. Embedded Automatic Link Establishment (ALE) allows linking with other HF stations without operator intervention. MIL-STD-188-141B, App. B Linking Protection provides additional security to your HF network. The RM6-A unit has a dedicated interface to connect a GPS unit as time reference and supports the Standard Time Exchange protocol.